I was working as a journalist in London’s Soho when I got my first commission for a book. Trade Union rules prevented me from getting a job with a national newspaper in Fleet Street, so I was writing for one of Michael Heseltine’s financial magazines instead. What I really wanted to do though, was to abandon journalism altogether, move to the country and produce nothing but books. George Orwell’s old publisher helped me on my way. I was walking past Secker and Warburg’s office in Poland Street one day when I spotted a rather dull-looking history of the British in Malaya in the window. 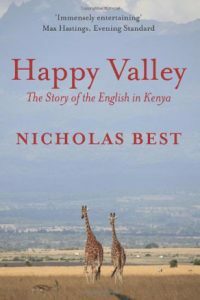 Having grown up in Kenya, I knew I could write a much more exciting book about that most exotic of former colonies. 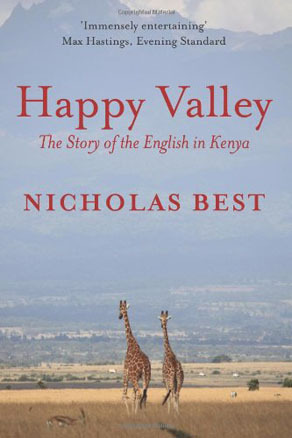 I submitted a specimen chapter of Happy Valley: The Story of the English in Kenya to Seckers. An invitation to meet David Farrer followed. I reported to Seckers’ fusty Georgian office, was shown up a narrow flight of stairs, and introduced to the great man at the top. David was a lovely man. I didn’t realise it at the time, but I was starting at the top, having him for a publisher. At the beginning of his career, he had accepted Orwell’s Animal Farm for publication when countless other publishers had turned it down. ‘I think we can sell 20,000 copies of this,’ he had told dubious colleagues, insisting that Seckers must take a chance on it. Now, at the end of his career, he told his colleagues that I had a future as an author. I will always be grateful to him for that. He was the man who set me on my way. It’s fair to say, in fact, that David Farrer remains the best publisher I have ever had. He came from the golden age of the profession. I rarely saw him without a cigarette dangling from the corner of his mouth. At noon every day, his secretary would deliver a large glass of gin to his desk. After he had downed that, he would take his authors out for a lunch in Soho that always lasted several hours. What a wonderful contrast to all those faceless, algorithm-driven corporate executives who dominate the profession today!